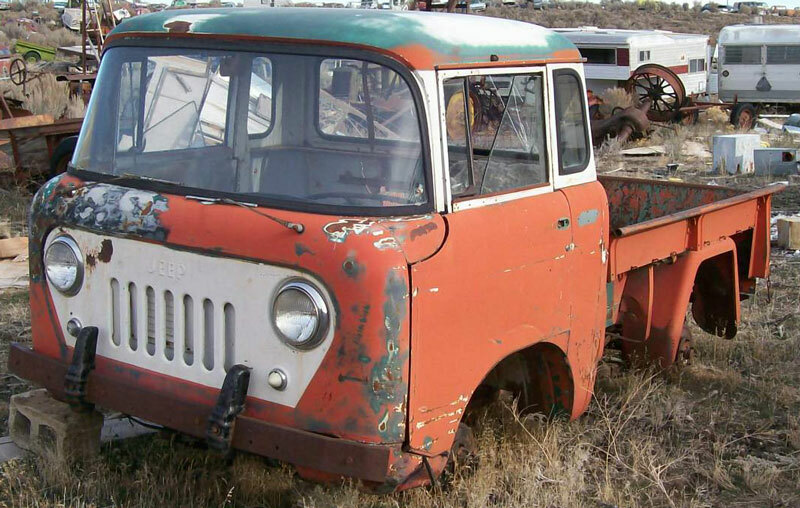 This orange and white 1962 Willys Jeep FC-150 forward control 3/4 ton stake bed pickup truck is a very complete body and chassis ready to be restored or customized. The body has excellent solid dry and fairly straight western desert sheet metal. The curved glass windshield is good and the flat glass is broken. The non-stock front bumper with non-stock bumper guards is bent back. The right rear corner of the cab is dented. There are two tears in the back of the cab and one has been welded. The rear air vent steel mesh screen is not stock. The cab badges and wipers are missing. The right front cowl top was damaged and has been repaired. The lower left front splash panel is dented and there is a hole in the sheet metal at the seam with the front panel. 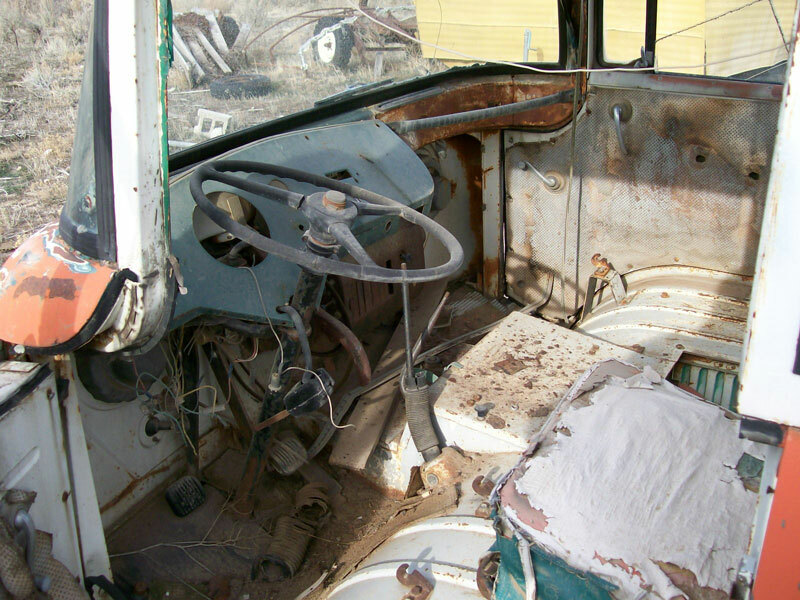 The green and white interior is missing the passenger seat. The gauges are gone and the dash has been stripped. The front dog house motor cover is missing. The floor is solid. The interior door handles are missing. The 134 CID L-head 4 cylinder 75 HP inline four cylinder motor, radiator and four speed manual shift transmission are gone. The truck will be shipped rolling with non-stock wheels and inflatable tires. 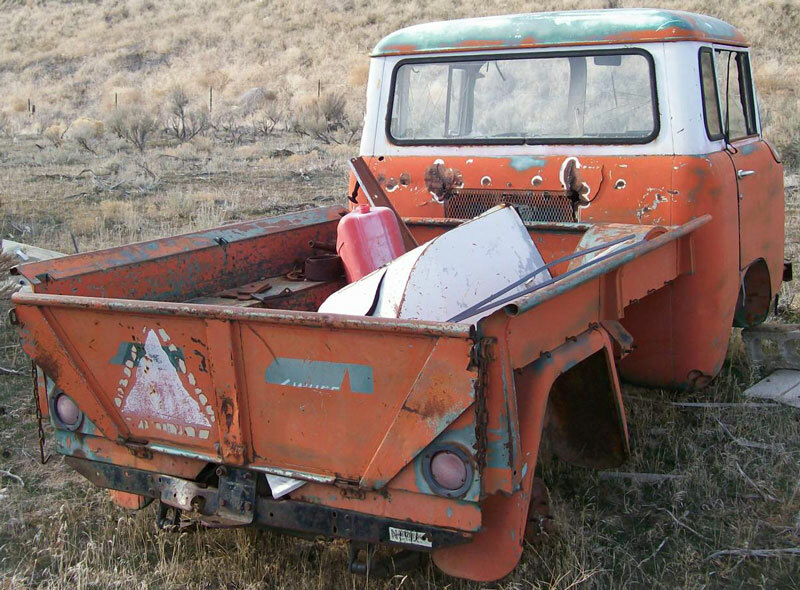 Don't miss this chance to restore a desirable 62 Willys FC-150 pickup with excellent dry sheet metal. 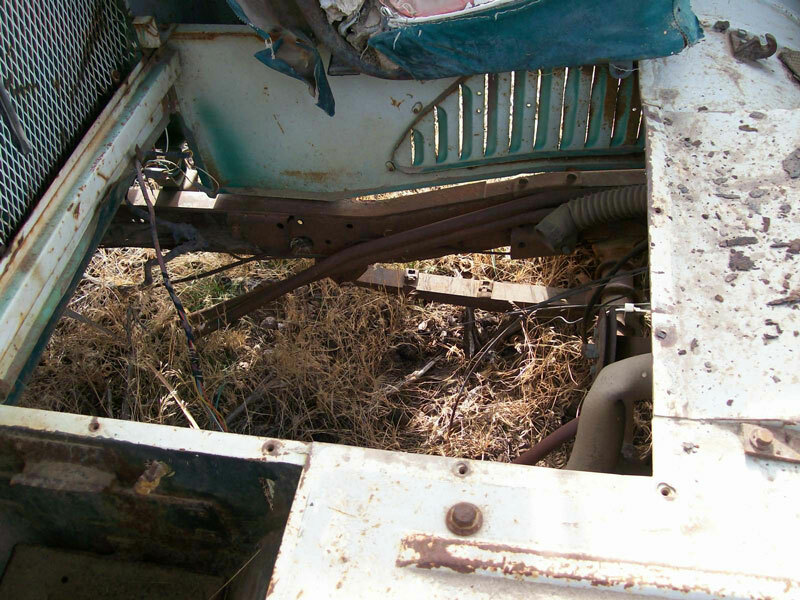 Please call (406) 318-0270 for details about this restorable 1962 Jeep classic project truck.